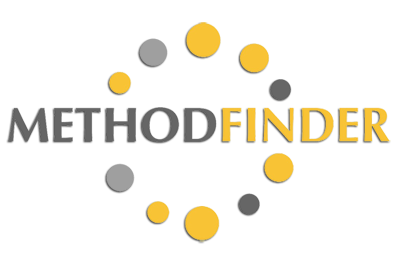 Welcome the new release of MethodFinder. This is platform to share methods and approaches, that have been successfully tested. Every method refers to an application example, which illustrates its application within a given context. Read our Brochure to get to know us. Visit our database to find your Method or Example now. a practitioner in industry or development aid sector. to frequently apply specific techniques in order to solve problems or tasks. not have the time to look for the most appropriate method. For search engine, please visit the web site.